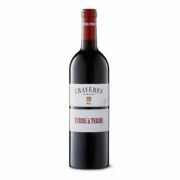 Terre à Terre is proud to present its first release of Crayères Vineyard Reserve coming from its very unique close-spaced vineyard in Wrattonbully, South Australia and made from Cabernet Sauvignon (95%) and Cabernet Franc (5%). The 2014 growing season was very challenging in the beginning, with cool and humid weather around flowering and severe heatwaves in January and early February; however, the growing season finished with very mild and warm conditions, with on average 6 weeks between véraison and harvest for all varieties. The Heat Degree Days summation (calculated as the sum of the monthly daily mean minus 10°C for the months of October to April included) was estimated at 1,414 degree days, which is lower than the average for Saint Emilion (1,530 degree days). One striking feature of the 2014 vintage was a very good and uniform set in all varieties, leading to a very harmonious and slow ripening at the end of the season. As a result, the fruit had great colour and amazing tannins and flavours. The fruit was handpicked on the 8th and the 9th of April 2014 and was of excellent quality. 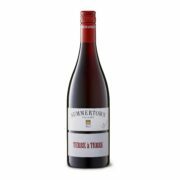 The fruit was transported back to the Tiers winery in the Piccadilly Valley (Adelaide Hills) before it was crushed and destemmed. 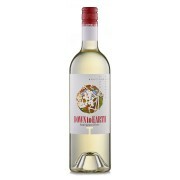 The must was fermented in small 1-tonne fermenters, with plunging twice daily. 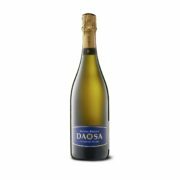 After 21 days fermentation and maceration, the must was pressed off skins and racked to new and old French oak barrels where it aged for 12 months. The wine was then racked to a 5-year-old, 4,000L foudre (French oak) and aged for a final 6 months. After a very light egg fining in foudre, the wine was racked one more time before bottling without filtration on the 3rd of December 2015. 5% of Cabernet Franc from the Crayères vineyard was added to the blend before bottling. The wine was aged in bottle for 18 months before release. The Crayères Vineyard Reserve will be made each vintage by blending the best components of the now ten-year old Crayères Vineyard. 2014 was an excellent vintage for Cabernet Sauvignon, with exemplary cassis fruit flavours and great length. 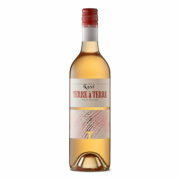 This wine will have a great potential for ageing, and is still in its youth. Only 800 x 6-packs were produced.